WASHINGTON, DC — On Friday, June 24, President Obama designated the Stonewall National Monument – the first national monument dedicated to telling the story of the lesbian, gay, bisexual and transgender community’s struggle for equal rights. 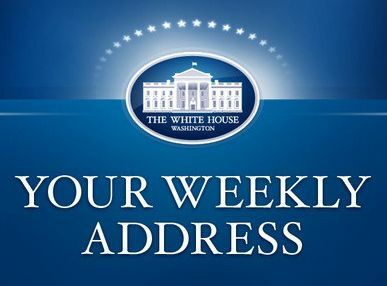 In this week’s address, the President talked about the importance of preserving and sharing this significant part of the American story. Although we have seen true progress over the years, the President acknowledged that the LGBT community still faces discrimination to this day. With that in mind, the President emphasized that as a country, we must continue to push for equality, acceptance and tolerance – because that’s what makes our country the greatest nation on earth. Hi everybody. The story of America is a story of progress. It’s written by ordinary people who put their shoulders to the wheel of history to make sure that the promise of our founding applies not just to some of us – but to all of us. Sometimes, we can mark that progress in special places – hallowed ground where history was written – places like Independence Hall. Gettysburg. Seneca Falls. Kitty Hawk and Cape Canaveral. The Edmund Pettus Bridge. One of these special places is the Stonewall Inn. Back in 1969, as a turbulent decade was winding down, the Stonewall Inn was a popular gathering place for New York City’s LGBT community. At the time, being gay, lesbian, bisexual, or transgender was considered obscene, illegal – even a mental illness. One night, police raided the bar, and started arresting folks. Raids like these were nothing new – but this time, the patrons had had enough. So they stood up, and spoke out, and over the course of the next several days, they refused to be silenced. The riots became protests; the protests became a movement; the movement ultimately became an integral part of America. Over the past seven years, we’ve seen achievements that would have been unimaginable to the folks who, knowingly or not, started the modern LGBT movement at Stonewall. Today, all Americans are protected by a hate crimes law that includes sexual orientation and gender identity. “Don’t Ask, Don’t Tell“ is history. Insurance companies can no longer turn you away because of who you are. Transgender Americans are more visible than ever, helping to make our nation more inclusive and welcoming for all. And one year ago this weekend, we lit the White House in every color – because in every state in America, you’re now free to marry the person you love.